So, you are planning to invest a lump sum amount of money in remodeling your kitchen and also invest weeks in shopping for materials required and seeking the ideal contractor for your project. 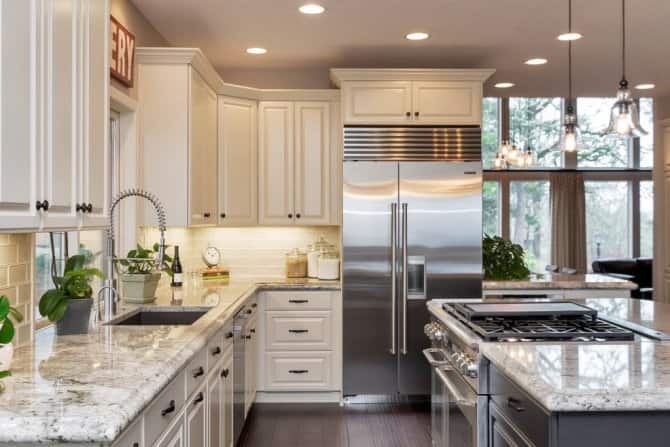 But also take into consideration from others and make sure you are trying your very best in avoiding these common kitchen renovation mistakes. Try to work on the limited area available until you find the current space congested and limiting. Cuisines Modena experts use proper design techniques and modern appliances to make the best of the space available for the sake of optimum efficiency. More floor spaces, counter spaces and storage help in many cases, but expansions and additions don’t always make a kitchen better. Tearing down the walls to expand the kitchen will increase the cost of improvement and will involve plumbing and electrical work. Also consider the cabinetry reconfiguration and appliance relocation before you expand the space. You can consider incorporating a dining room in the area adjacent to your kitchen to create an open space and use it effectively. Stainless steel has managed to be the top choice among the homeowners, but it shouldn’t be the sole point to focus on. Not only the steel is difficult to look after, but it also has a limited lifespan. Nobody wants to design a kitchen with items of small duration. Many kitchen designers add cabinetry cover for the fridge, oven and dishwasher face. This lets the appliances to merge with the overall look and offer you more freedom. Overdoing with the stainless steel tends to break up the visual flow and using cabinetry faces help to even out the appeal. Focus on the architectural aspects, an attractive countertop or huge furniture piece to create drama or ground the space. Cabinets are an important part of your kitchen. But many believe that skipping on that will create more space. Going for a low quality kitchen cabinet will only cause you more harm. Rather than this, go for the best cabinetry style and materials needed which are affordable and will create the optimum layout. Also consider the storage room in your cabinets as well. This offers space for rarely used items, decorative dishes and small appliances that have no space in every area.